2. 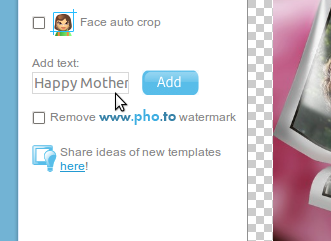 Upload a photo of your Mom (from your computer or via an URL). 4. Here you are! Save the resulting e-card to your hard drive and send it to your Mom via e-mail, or grab the link to the e-card (available via the ‘Share’ button), and send the link via ICQ, Skype, or other messaging clients. But wait!.. Some templates at Funny.Pho.to are available in HD format. This means the result can be printed out in good quality! Creating a personal card and printing it out is a great idea, especially if your Mom is not into computers and stuff. To create a project in HD quality and print it out, click on a preview below, upload your photo, as we described before (make sure the photo resolution is good enough to ensure high print quality), then save the result to your computer and print it out! Has your Mom ever wanted to have her portrait done? Turn her photo into a Hawaiian style portrait and print it out. She will be amazed! Remember those days when your Mom used to tell you fairy tales before bed time? Upload her photo and make her look like a murtle tree fairy! You can even print out a personal calendar with a family photo. Your Mom will love the idea of hanging up a calendar with a photo of someone she loves! But wait… We’ve got even more ideas! If you are a Facebook user, create a cute e-card with the Pho.to Stickers app on Facebook. 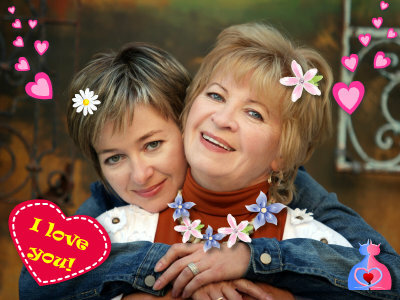 Upload your Mom’s photo and add beautiful stickers (hearts, flowers and other lovely elements) to it. 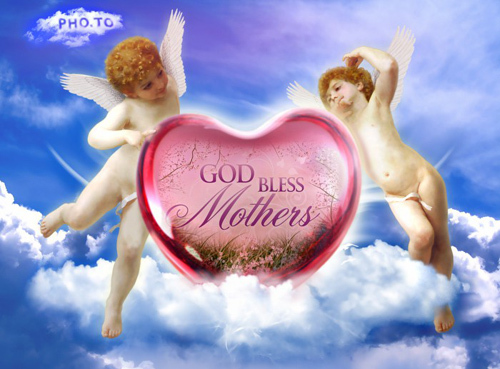 The result can be sent via e-mail or even shared on your Mom’s wall (if she’s also on Facebook). Next Next post: Retro and Vintage are Back in Style!